Octavo. x, 303 pp; color frontispiece, many b/w photographs and garden plans; index. Green cloth with dj. Chips to top of dj spine & top edge of back panel & tiny chips at corners -- No chips or tears to front panel. 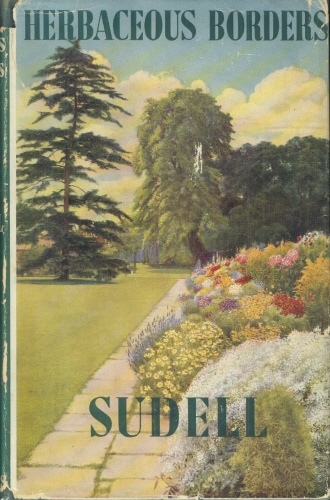 Attractive dj with color drawing of garden, and a very useful book by the British landscape gardener Sudell.